I’ll just come out with it… theres officially a new road in Haast and it’s called Airport Lane! 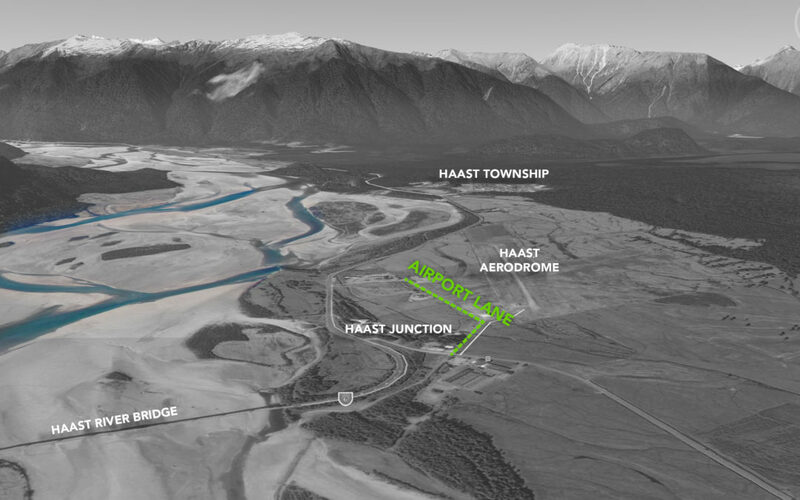 You can see it’s suitably located giving access to the Haast Aerodrome, at Haast Junction. Over the coming weeks Airport Lane will be dressed with new signage and loaded onto all of the authorities systems – LINZ, NZ Post, Google etc.. All the better to find us with?!! It’s been an exciting year behind the scenes, and though I don’t want to let the cat out of the bag quite yet, I’ll let this serve as a clue to what’s been brewing. Keep your eyes peeled for more updates from Haast. Pete & the Greenstone Team.